A quick todo list for setting up a freshly cloned project. Check if the values in config/app.php meets your needs, depending where (staging, dev, ...) and how (php -S, artisan, vm with a domain, ...) you are running it. Just bookmarking here the amazing documentation that was produced during the Dev Days. Many session were oriented towards coding attitude. 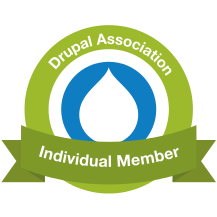 It looks like we now have the time to let the technical specs of Drupal 8 a bit behind and focus on sharing developer experience.